Chances are you have an abstract, mental checklist for your business. It's nothing too off-the-wall. You simply want strategy, conformity, control, and money-saving goals. It's no secret that printers, copiers, and other office equipment can be huge money pitfalls if not watched and guarded. Printing finances can cycle into a rut, and that's overwhelming for any business owner or manager. Thankfully, managed print services can help you check off that list and help your business run dream-like smooth on a day-to-day basis. Money-saving skills, control, and strategy are what any business can definitely use more of. 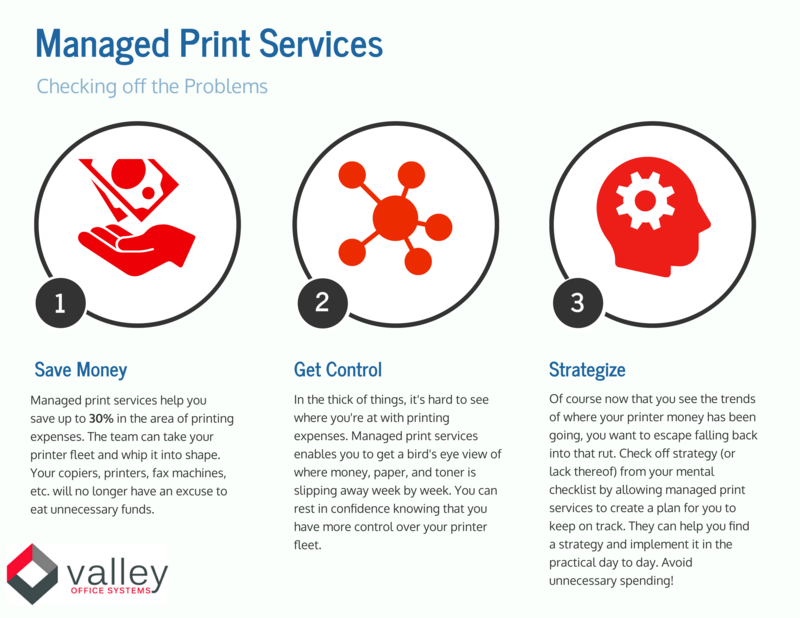 Contact us to apply managed print services to the copiers, printers, and other machines in your office.